For flute & piano. First Edition. 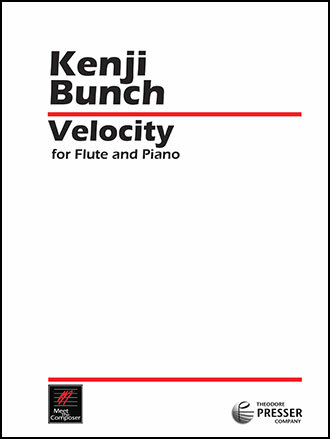 Originally released as part of Marya Martin's Eight Visions anthology, Kenji Bunch's energetic and virtuosic duet Velocity for flute and piano duet is now available separately. For the advanced player. Duration: ca. 8'. Score and part.